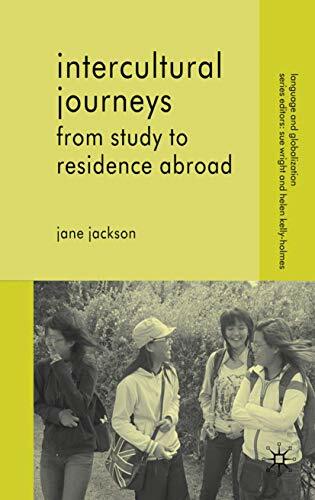 Intercultural Journeys: From Study To Residence Abroad (Language And Globalization): 9780230527218 Hardcover - LIMEROCK BOOKS INC. Focusing on the actual experiences of L2 students who travelled from their homes to foreign lands as part of a faculty-led, short-term SA program, the author explores the linkage between intercultural awareness and sensitivity, language development (e.g., sociopragmatic awareness), and identity reconstruction in young adult L2 learners. JANE JACKSON is Professor in the English Department at the Chinese University of Hong Kong. Her research interests include intercultural communication, sociopragmatics, identity reconstruction, and language and cultural learning through study and residence abroad. Her book, Language, Identity and Study Abroad: Sociocultural Perspectives was published in 2008.